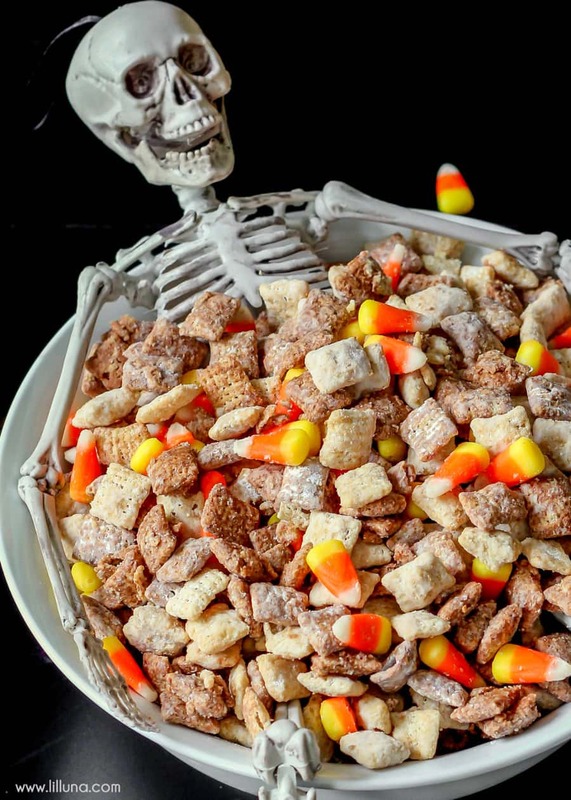 I LOVE Halloween treats. They look so creepy and cool, and it’s awesome. 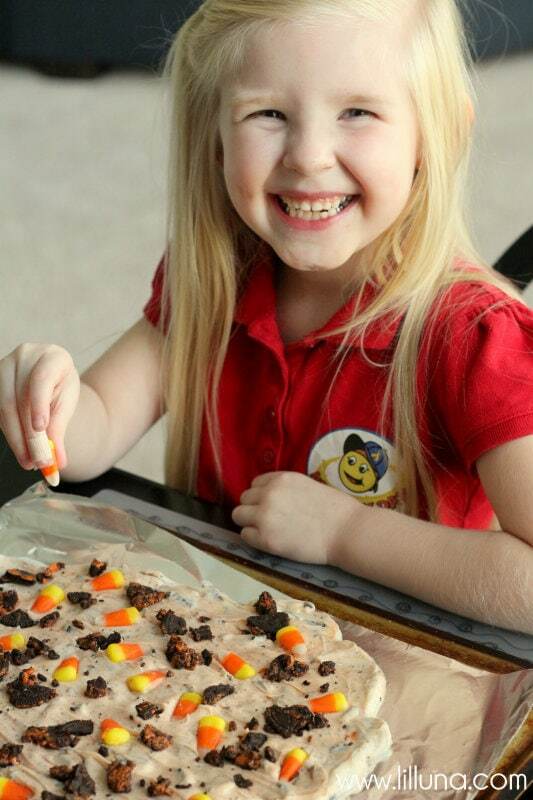 Yesterday, I made some yummy Halloween Bark. It only took a few minutes and tasted so good. 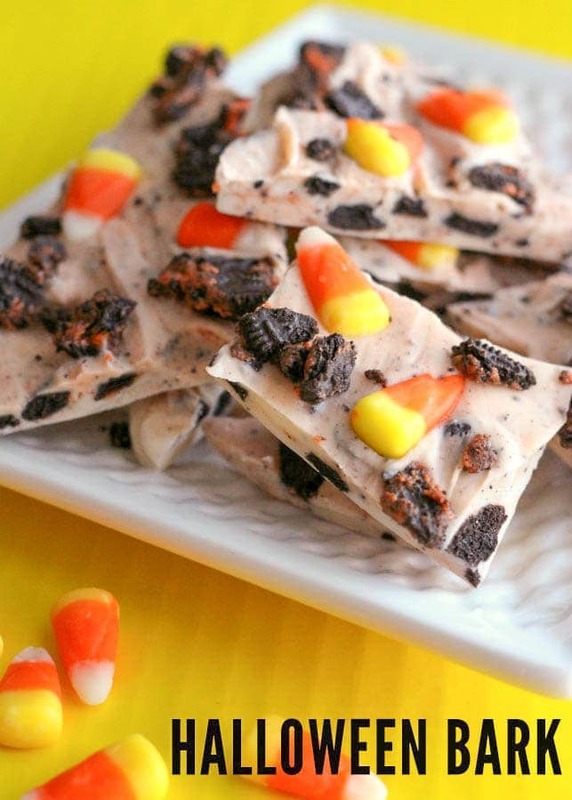 We put some candy corns and Halloween Oreos in it. Did I already say it was good because it was. Here is my game plan I drew. I kinda messed up on one of my arrows, but I fixed it and made it look box-y instead. That’s okay, right? 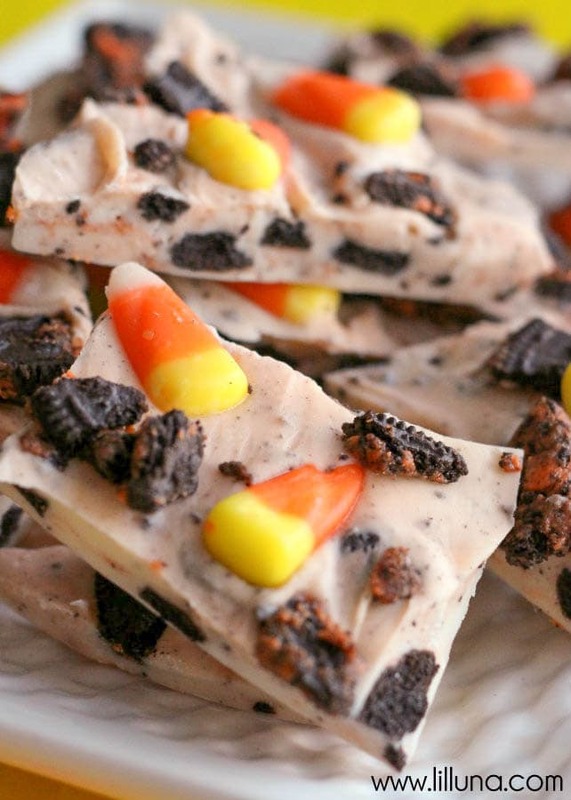 Halloween Bark filled with Oreos and Candy Corn - YUMMY! 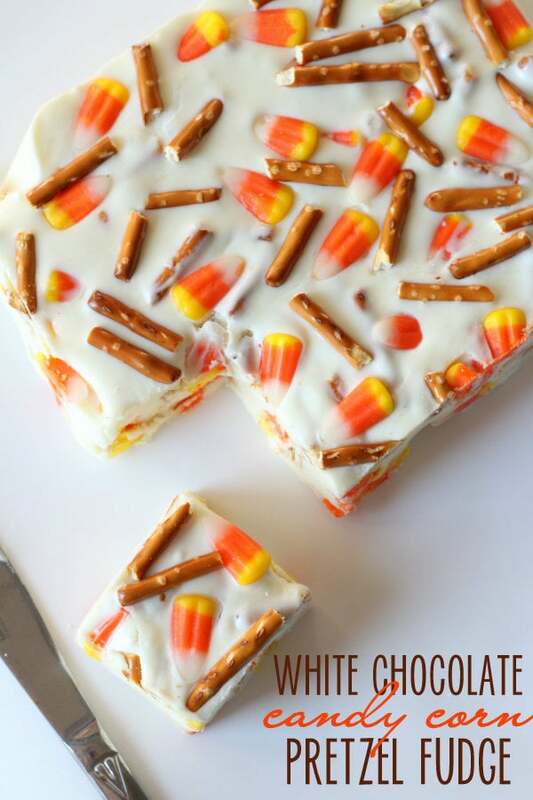 So easy and few ingredients, including vanilla candy coating, vegetable oil, butter, candy corn & oreos! Put your cubes of vanilla candy coating in a pot and melt on low heat. Stir the entire time until it is all melted. Add oil and butter right before it's done melting. Add most of the Oreos (but leave some to sprinkle on top). Pour onto your cookie sheet with foil. Spread to the thickness you want it. 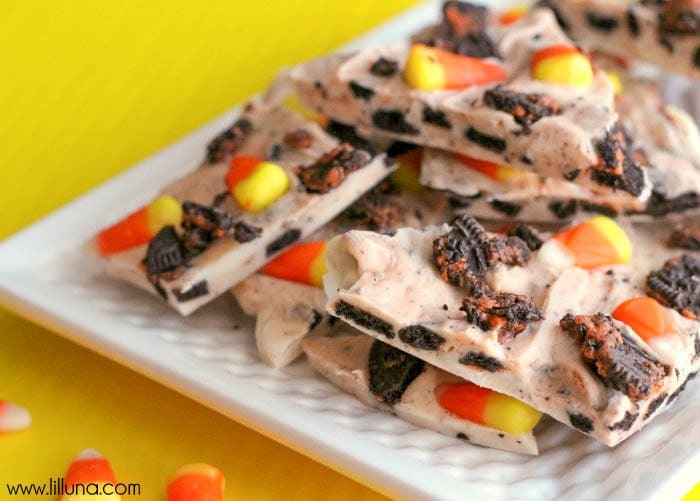 Sprinkle reserve oreos and candy corn on top. Refrigerate for half hour. Enjoy! This is me putting some candy corns on. Do you see the sticker I’m wearing on my shirt? It’s because it was Hat Day at school. I wore my graduation hat from when I graduated from Preschool last year. Come back next week for another Halloween treat. For all Sweets Treats by Lily go HERE. I love bark! 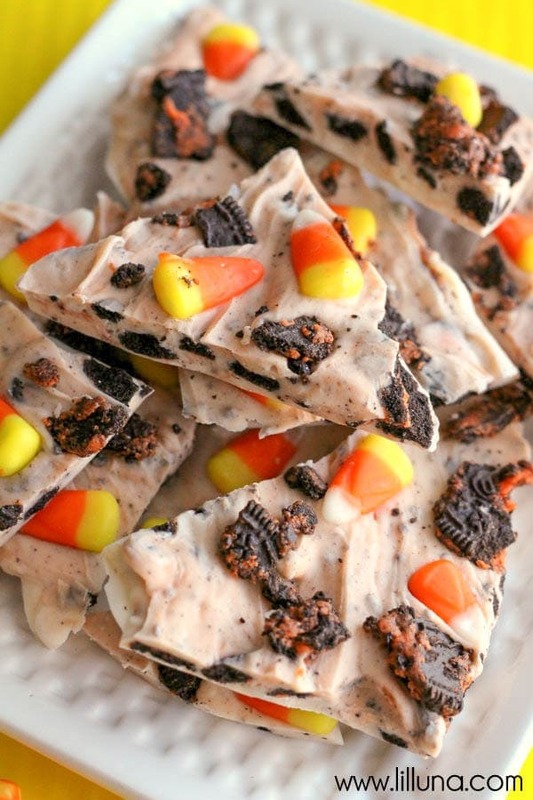 Especially Halloween bark. It’s so much fun! Thank you, Dorothy. 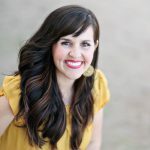 My mom was just telling me that you make really good desserts too!! YUM! 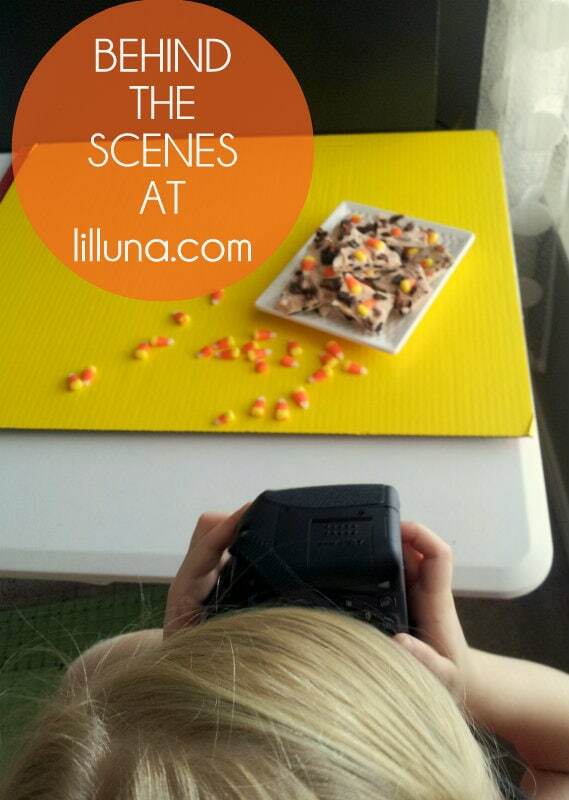 Love your little helper (so adorable) and I always love seeing the pull backs for the photos too. My kids would LOVE to make this!! 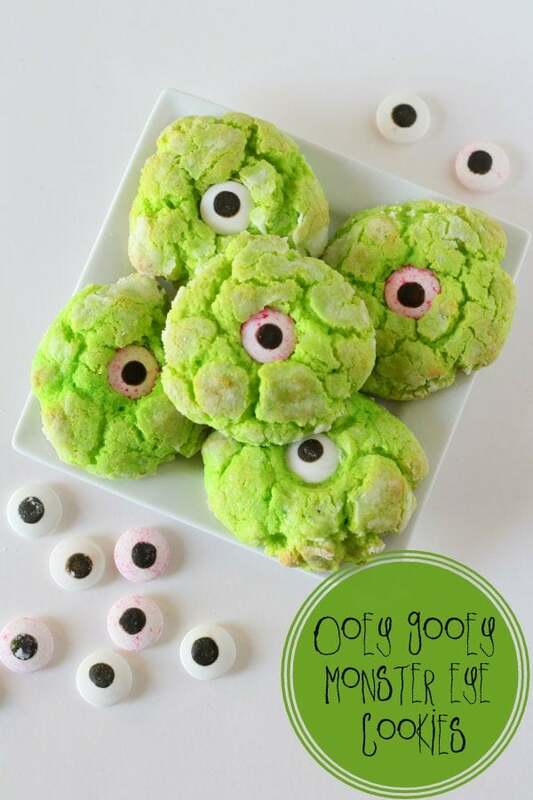 Such a perfect recipe for kids to make and eat!!! 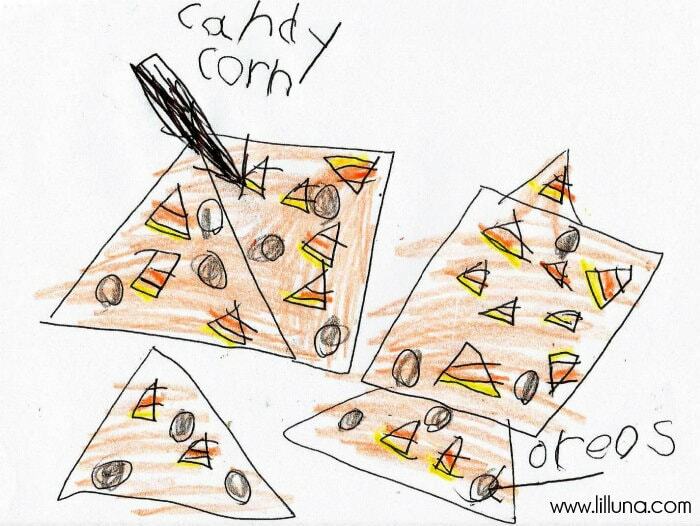 Hi Lily – This looks so good – I love any kind of “bark.” Every once in awhile you can get lucky at Target and find Candy Corn Oreos… those would be good with this too. The sun is my best friend taking pictures too. Be a good girl and do well in school! Hugs, Mrs. B. Seems to be 2 sets of recipe instructions. .. which is the correct. I wanted to eat this all myself when I made them in October, LOL, too good!